O.K. with valentines day fast approaching and you know you just will not have time to prepare our chocolate valentines gateau why not try this quick simple but effective recipe I am sure your loved one will appreciate it just as much. 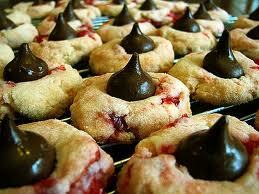 About 48 milk-chocolate candy kisses"
Please submit all quick and easy chocolate recipes to macsmeals.